The index opened positive around 8789 but saw selling pressure to move to the lows at 8720. Lower level buying saw the index back in green only to see the Sellers back in the last 30 minutes to see the index to new low for day at 8704 but closed at 8723.70, loss of 32.85 points. The broader market was also negative, with 645 advances to 848 declines. Developing Range as per Option Table comes to 8500-9000. Call option 8700-8900 added huge 7.73 lacs OI with profit booking seen at 9000 strike price. Put option 9000-8200 added huge 14.69 lacs OI with profit booking seen at 8100 and below strike prices. 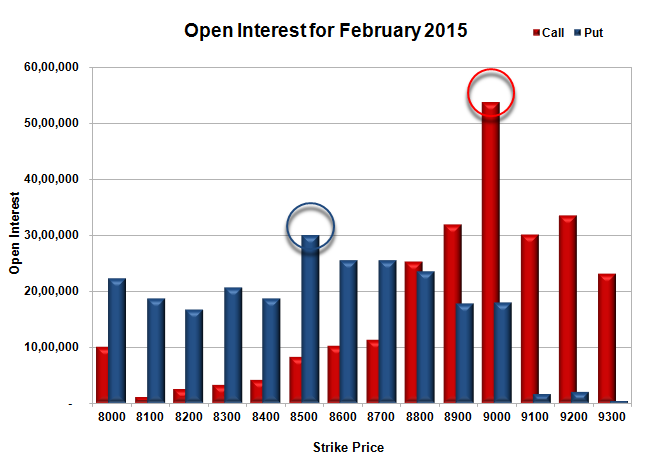 Nifty Open Interest is at 2,52,80,375 down by 1,15,225, with decrease in price, most probably long liquidation. Bank Nifty Open Interest is at 24,66,800 down by 38,375, with decrease in price, most probably long liquidation. FII’s bought 1.68 lacs Futures, which includes 10086 contracts long liquidation and 16822 contracts short covering, with decrease in net OI by 26908 contracts (includes 51423 longs to 44687 shorts for the day) and the Average Price comes to 8911.05. 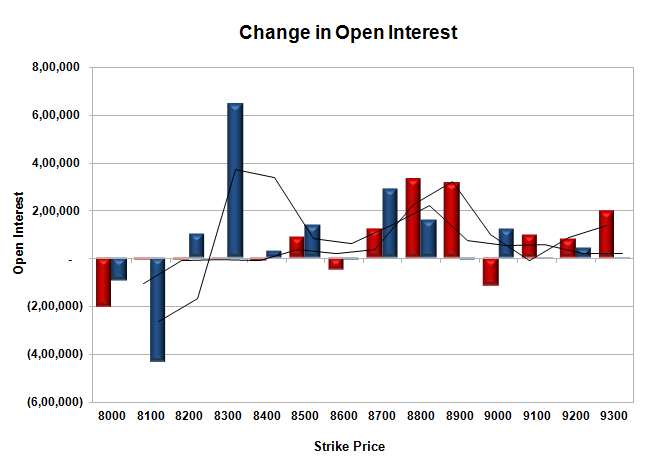 FII’s Index future open contract as on date is 814090 Longs to 89642 Shorts, net long 724448 up by 6736 contracts. Initial support still at 8700, with OI of 25.44 lacs and below that at 8500 with OI of 29.87 lacs. Initial resistance at 8900, with OI of 31.99 lacs and above that at 9000 with highest OI of 53.75 lacs. 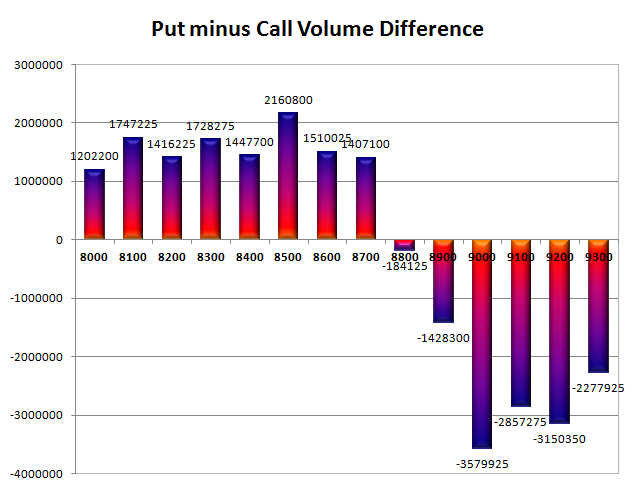 Day Range as per Option Table is 8657 - 8817 and as per VIX is 8632 - 8815 with 8740 as the Pivot.